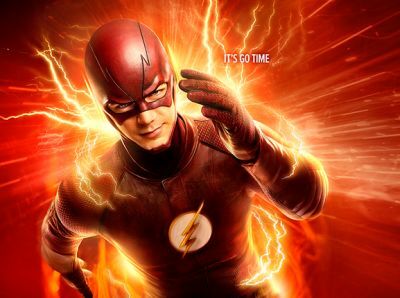 Australian network FOX8 has debuted another quick promo for The Flash featuring a new bit of footage from the upcoming second season. Check it out in the player below and don’t forget to read our latest feature, 25 Villains We Want to See on Arrow, The Flash and DC’s Legends of Tomorrow. The Flash stars Grant Gustin as Barry Allen/The Flash, Candice Patton as Iris West, Rick Cosnett as Eddie Thawne, Danielle Panabaker as Caitlin Snow, Carlos Valdes as Cisco Ramon and Jesse L. Martin as Detective Joe West. It’s executive produced by Greg Berlanti, Andrew Kreisberg, David Nutter and Sarah Schechter. #TheFlash Season 2 is coming to FOX8 – Express from the US! Who’s excited?